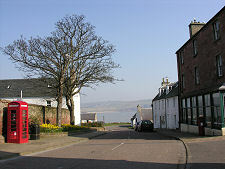 The village looks north across the Cromarty Firth towards the fabrication yards at Nigg. It occupies a triangle of ground, with sea on two sides, and you get the very strong sense of a history that is intimately tied to the sea and to seafaring. 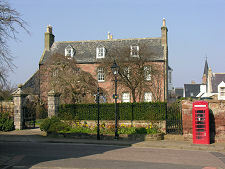 Cromarty's major phase of development was overseen by the local laird, George Ross of Pitkerrie and Cromarty, in 1770s. He built the harbour, and imported raw materials from the Baltic to feed the cloth, rope and ironware factories he also built here. These were operated by workers brought in from all parts of the Highlands. There has been a ferry port here for many centuries. 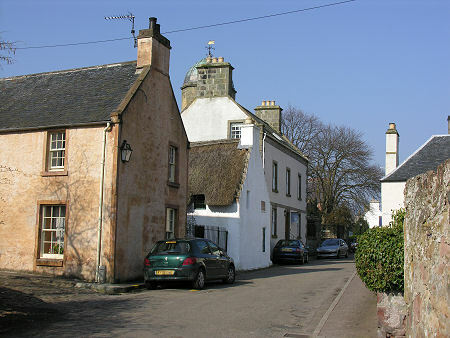 The village lay on the main coastal route north from Inverness, and formed a key staging post in the pilgrimage undertaken by many to the Chapel of St Duthac at Tain. The building in 1982 of the A9 crossings of the Cromarty and Beauly Firths made the road links a much better option than they had been before. 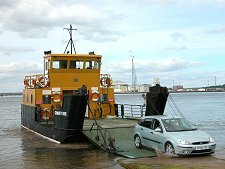 But despite this vehicle ferry still operates seasonally between Cromarty and Nigg. 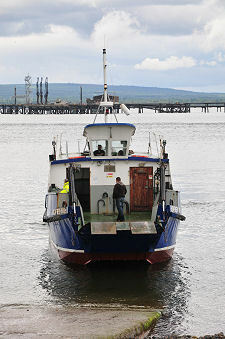 The vessel used, the Renfrew Rose, can carry two cars or 50 foot passengers, and entered service on the route in June 2016. She was buult in 1984 for service on the Renfrew to Yoker Ferry on the River Clyde, where she serviced until 2010. 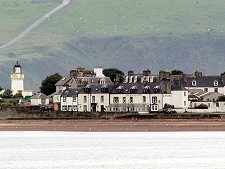 Between 2011 and 2014 the ferry used had been the Cromarty Queen, and this in turn had replaced the Cromarty Rose, which operated from 1987 to 2009. Cromarty Firth has long been an important haven, being sheltered, deep, easily defended and very large. This was recognised by the Royal Navy through both first and second world wars. 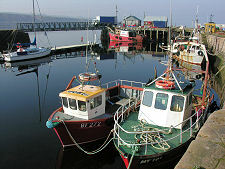 In more recent decades it has been associated with the North Sea oil boom, with both Nigg and Invergordon being used as service and construction yards. 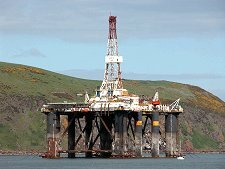 For many years this was signified by the string of rigs moored along the length of the Firth and readily visible from Cromarty. The rise in oil prices meant that by early 2007 the world demand for oil rigs was very high and there was no longer a surplus needing to be parked here. Many have since returned as oil prices have dropped. 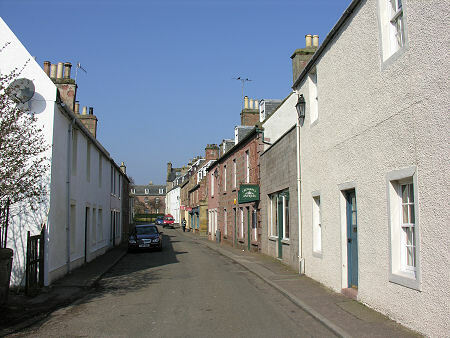 Cromarty itself is an extremely attractive town, a mix of smaller cottages and more substantial buildings designed to house both the workers who fed its prosperity and those whose fortunes were made here. 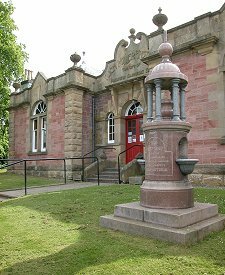 Hugh Miller is also remembered in the shape of the Hugh Miller Institute, a grand, if a little out of place, library presented to the town by the Carnegie Institute in 1903. At the end of Church Street is the East Church or "Old Church". 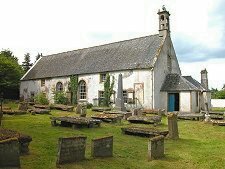 This is regarded as one of the best preserved Presbyterian churches in Scotland. 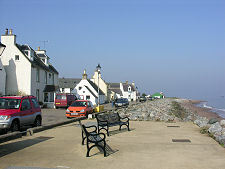 Cromarty is well worth a visit. It is very pretty in its own right, but adds to this an interest that comes from its history, its nautical connections, and its sense of being rather unique.